Up next in the “Behind The Scenes: The Official Forest Home Media Launch” is an introduction to how we utilized Pinterest to accomplish multiple goals. Forest Home Media Pinterest board. We love Pinterest for its great visual impact and its almost viral social sharing capabilities. As marketers, data, included in this Forbes article, is now ranking Pinterest as a top source of referral traffic to websites. We have seen this in action with several of our clients in the interior design, painting and home building categories. We have monitored gorgeous images of our clients’ projects seeing them get hundreds of re-pins within a few hours of posting on Pinterest with high percentages of pinners actually clicking through to the original sources of the images – clients’ websites and blogs. We found these wonderful totable ranch and veggie cups. and party favor ideas. FHM partner Nancy McNulty wanted to share the inspiring and yummy food ideas via traditional media through a popular food column in Nashville’s daily newspaper, The Tennessean. Talented writer Vicki Stout’s story here shares our use of Pinterest, in my newly decorated kitchen, to find yummy food and decor ideas for our upcoming FHM launch party. 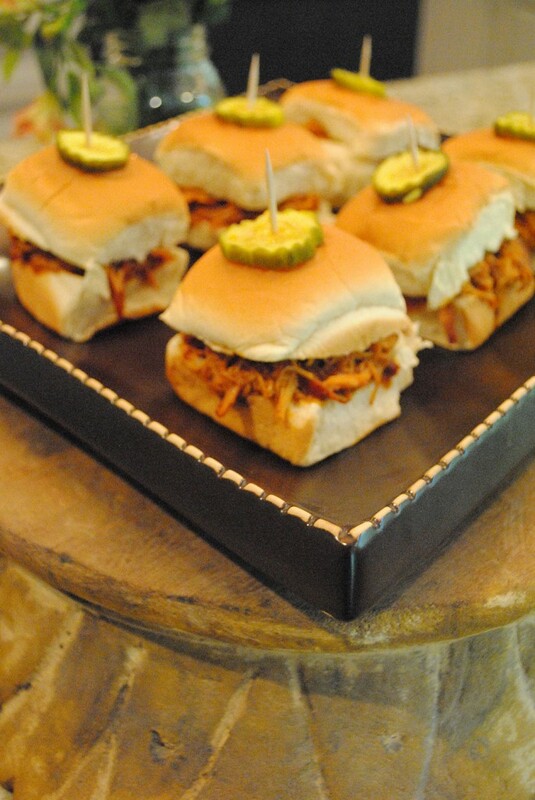 This past week, I cooked up some of the yummy party food we found on Pinterest for the Tennessean photo shoot and here’s is how our Pinterest ideas looked. As an integrated fusion marketing firm, we took each of the recipes we found on Pinterest and added a Forest Home Media “fusion” twist creating an interesting blend with an added kick. For details of all the recipes. CLICK HERE. We’ve pinned these images to Pinterest along with the recipes to help create awareness of the Forest Home Media brand and get Pinterest referral traffic back to our site. Categorizing our boards on Pinterest will also help with getting individual boards indexed by Google further building up our Search Engine Results page for Forest Home Media. We are also pinning the images from the online Tennessean article. So whether you are planning a party, a wedding or launching a new marketing company, Pinterest is a great place to go for visual inspiration and ideas. Stay tuned, our next blog will detail using a free email service, Mail Chimp, in creating our launch party invite. Want an invite? We’d love to hear from you.